Arrays of diamond photoemitters with silicon-vacancy (SiV) photoluminescent (PL) centers have been produced by epitaxy of CVD diamond inside laser-ablated channels in a-Si mask on single crystal or polycrystalline diamond substrates, the mask also serving as Si-doping source. Strong PL emission from the SiV centers with zero-phonon line at 738.6 nm wavelength (6 nm width, 0.8 ns decay time), localized within the photoemitters, has been measured. The work was supported by Russian Scientific Foundation, grant No. 14-12-01403. The SEM study has been carried out at Mendeleev Center of Shared Scientific Equipment. 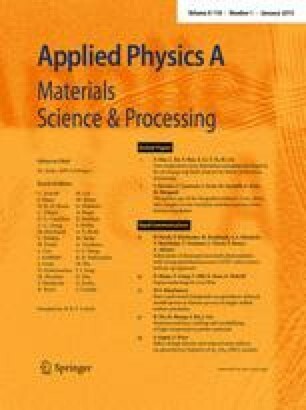 The authors are grateful to K. Tukmakov for a-Si film deposition, E. Zavedeev for optical profilometry, V. Yurov for his help in PL map data processing and A. Popovich for the assistance in sample preparation.